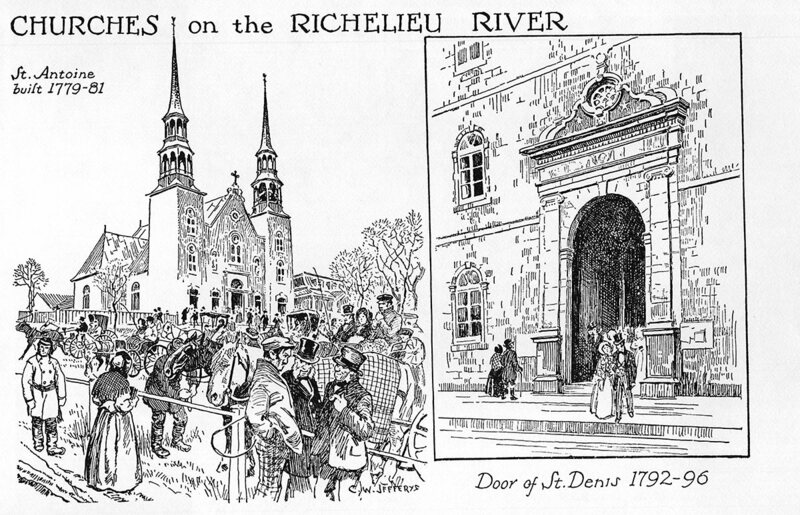 Most of the early Quebec churches existing today were built during the period from about 1770 to 1825. 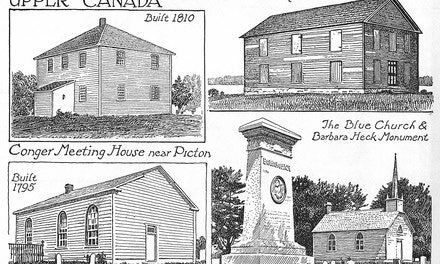 This was evidently a time of prosperity for the people of Lower Canada, as shown by the numerous and sumptuously furnished churches of this date. The parish records give details of the money paid to architects and sculptors, in addition to the labour and materials supplied by the parishioners. The architectural style of these churches was classic, that of the late Renaissance, known as Baroque. It is interesting to compare them with those of Mexico and California, built about the same time and designed in the same style. The southern churches, outside and within, were more ornate and florid. Those of Quebec, in their exterior decoration, were plainer, more restrained, in conformity with their northern climatic conditions. Their charm consists in their pleasing proportions, their union of dignity and grace, and their harmony with their landscape setting. 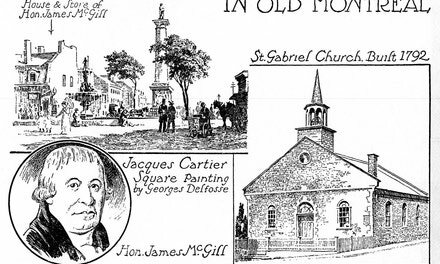 The Quebec craftsmen lavished their decorative skill on the interiors, in wood carving, plaster work on altars, pulpits, ceilings, sacristry doors, etc., some examples of which are shown in these pages. Information on these craftsmen and their work is to be found in books, monographs and articles by Marius Barbeau, Emile Vaillancourt Ramsay Traquair, Prof. E. R. Adair, and Gerard Morisset. The corner stone of the Nelson monument was laid in 1809. Near it was the pillory where criminals were exposed with a label on their breasts stating the nature of their offence.